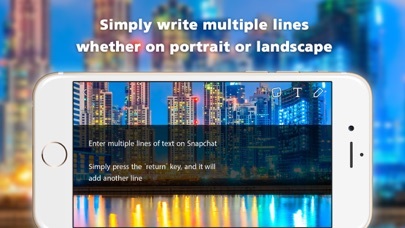 Didn't have enough space to write that cool caption on the perfect Snap? Did you find yourself using that tedious trick of copying and pasting blank lines just to send more text? Does your finger-written text look like a first grader wrote it? 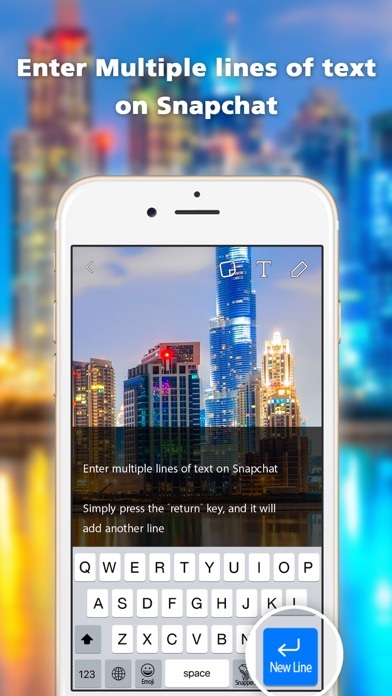 Add New Line is a functional keyboard that allows users to enter multiple lines of text on Snapchat. Simply press the key, and it'll add another line for you to type on. You can write out a witty pun.